Fine. 0747594120 ALL BOOKS SHIPPED WITHIN 1 DAY OF PURCHASE! Very Good. Trade paperback (US). Glued binding. 288 p. Contains: Illustrations. A fully illustrated journal of the author's far-flung travels throughout the world. This book traces his trips from New Zealand to New Jersey and everywhere in between, mixing beautiful photos and oddball mementoes with Bourdain's hilarious and outrageous tales of what really happens when you give a bad-boy chef an open ticket to the world. Good. Trade paperback (US). Glued binding. 288 p. Contains: Illustrations. A fully illustrated journal of the author's far-flung travels throughout the world. 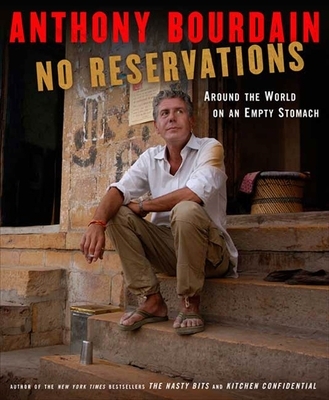 This book traces his trips from New Zealand to New Jersey and everywhere in between, mixing beautiful photos and oddball mementoes with Bourdain's hilarious and outrageous tales of what really happens when you give a bad-boy chef an open ticket to the world.